Should I really let my kids play with hard rubbish? In their bedroom? 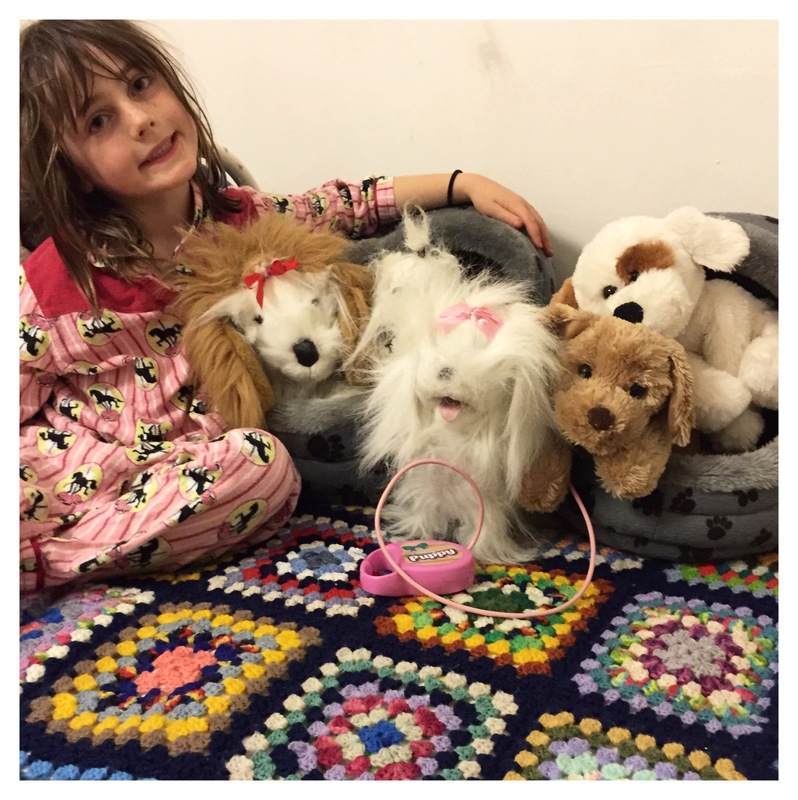 I was pondering this thought as I tucked them in to bed and noticed their new favourite toys … pet beds I found in Alphington hard rubbish this year. I found two matching ones. Dark grey with little black paws on them. Now every day I notice new toys in them. At the moment it’s the dog family. And the other day I recall that the dogs were wrapped in little blankets in them – obviously going to sleep. I didn’t originally intend them as children’s toys when I collected them mind you. I got them for the dog and the cat. But the cat is too big and fat for either of them and the dog wasn’t keen on them. They sat around for a couple of days before Scarlett snaffled them and found a home for them on the end of her bed. And so it is … Hard rubbish in the bedroom. Do your kids play with hard rubbish, or am I the only one? Our school fete is coming up tomorrow. A Fair To Remember (Fairfield Primary School) is on from 2pm to 7pm. And with the weather forecast of 28 degrees it’s going to be perfect. As long as the showers hold off. So you should come along for dinner if you live in the ‘hood. Because there’s going to be excellent food again including paella and souvlaki. And of course there’s going to be an ace box maze. As you know I am helping build it. We’re making it tonight – I hope it works out. I am sure it will! And yesterday when I went around to introduce Mum and Dad to Charley (our new puppy) I thought about how great school fetes are for toys. Because as I sat outside in the garden for lunch (to ensure that Charley didn’t wee on Mum’s rugs) first Hamish got out the foot powered police car (so Fred Flintstone) …a school fete purchase, followed by the police helmet … another school fete purchase, followed by the police vest. It’s having ALL the gear that speaks to our kids. One dog soft toy doesn’t cut it. They need at least 5 for a family game, ot 10 for a puppy school game … Same with horses, handbags, tutus … and police gear. If only Mum had walkie talkies I am sure Hamish would have had those out too. Something to look out for tomorrow night Mum?